The poaching of defenseless wild animals for their fur, skin, horns and tusks has never really been a noble deed and the world has spoken against these acts of cruelty quite often before. 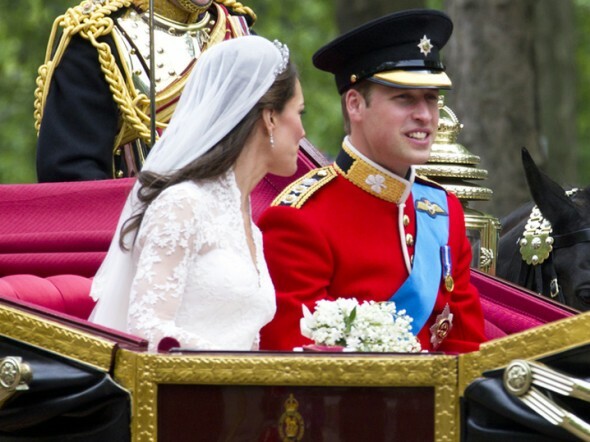 To join the brigade of those against elephant poaching, Prince William recently made a strong statement that has given environmentalists much to smile about. The Prince has stated that he’d like to see the entire royal ivory collection removed from the Buckingham Palace and destroyed! The city of Beijing has been having a tough time since quite a while now, as smog has enveloped the city’s atmosphere and the lungs of its inhabitants. The Chinese authorities have finally adhered to a long awaited wake-up call recently and a new law has been passed, with hopes to decrease the ever-increasing smog levels in this metropolis. 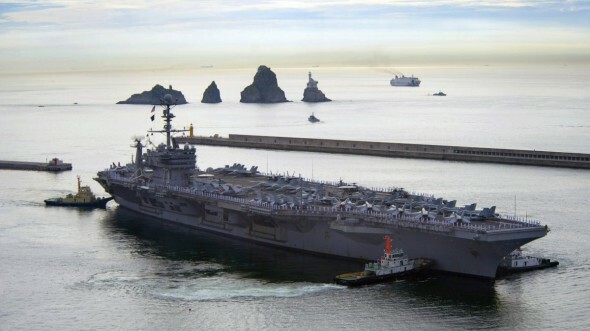 Environment lovers who have been screaming out at the world since quite some time now to reduce emissions to curb global warming haven’t been crying wolf, and the effects of mankind’s failure to adhere to more environment friendly practices are showing today. Damon Matthews of Concordia University in Montreal, Canada, recently conducted a research to point out the world’s biggest global warming offenders. 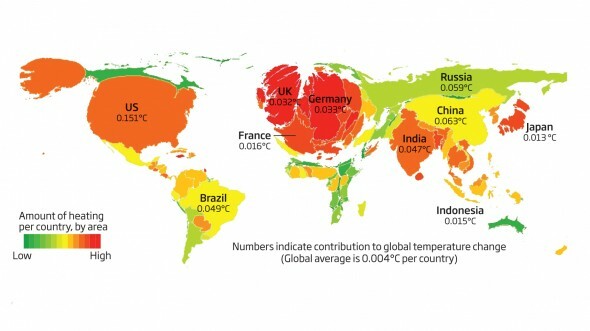 As per his calculations, US, China, Russia, Brazil, India, Germany and the UK alone are responsible for 60% of the global warming! The NSA has been taking a lot of poop talk from people lately after the world realized that this American government agency has been peeking at our emails, telephone conversations and gaming history too! However, the NSA doesn’t seem to mind all the poop and has been eager to make use of it all in a smart and eco-friendly way! According to a recent report, the new NSA data center being built at Fort Meade in Maryland will use treated wastewater to cool computers. The Mayor of New York City, Bill de Blasio, has recently been sworn in and before pulling off the wrapping paper from his office desk, has decided to do his part nature! 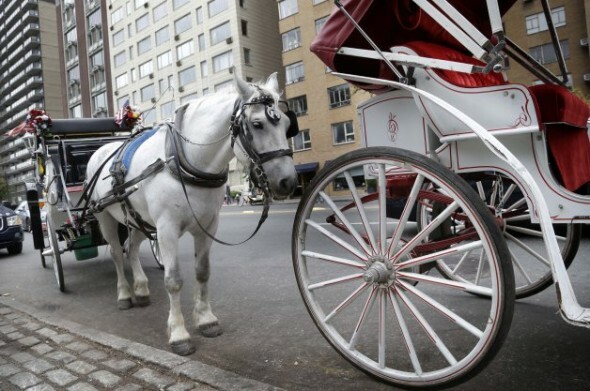 Blasio has decided to pull out horse-drawn carriages from doing the rounds of New York’s Central Park. The move includes these carriages being replaced with environment-friendly electric vehicles that’ll be used to drive around park visitors. The horse-drawn carriages have been around Central Park ever since this patch of green was opened in 1858 and will soon be replaced with antique-styled electric vehicles. We’ve all been to science fairs where smart folk would demonstrate how lemon juice or the sort could comfortably charge batteries. The time has passed and we are now we have now seen those geniuses grow and their science projects with them. Some of these have found themselves at The Big Bang UK Young Scientists and Engineers Fair. This time round, their powering-up trick has extended to lighting up an entire Christmas tree, with the power of Brussels sprouts. The inspiration for this was quite obvious. The typical Christmas menu is decked up with some rather interesting eatables, the Brussels sprout being the least liked. 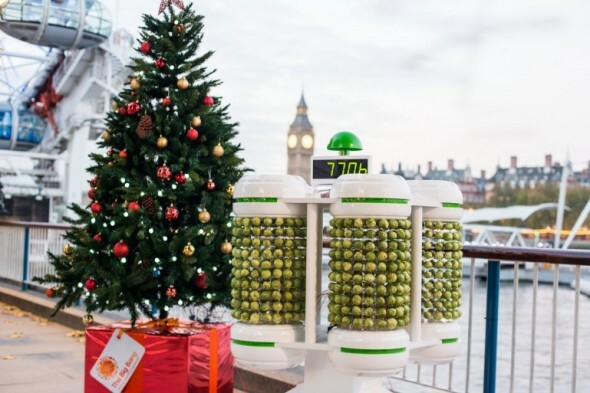 So, the scientists took a 5-power cell battery, each with 200 sprouts surrounding them, making it a thousand sprout-strong battery that lights up a beautiful tree. 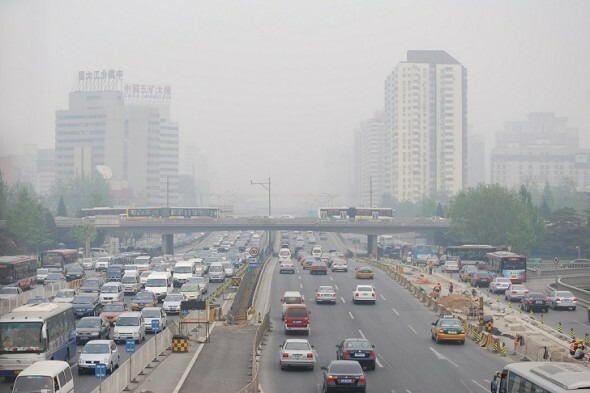 Beijing to spend more than $160 billion in an effort to clean up its air! 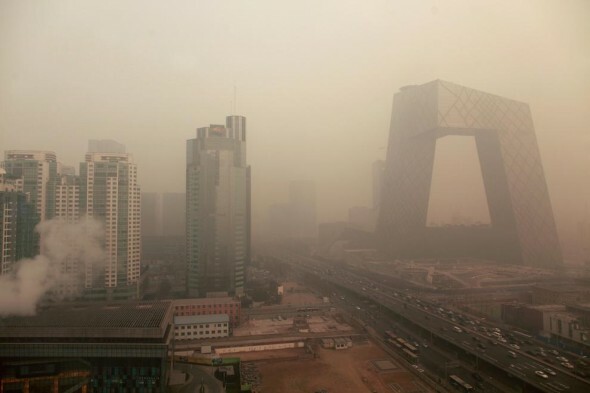 Beijing has continually been in the news for having terribly polluted air. The authorities have finally decided to take a stand and wage war against all that’s smelly, smoggy and dirty, with a 1 trillion yuan ($163.4 billion) plan to eradicate the city’s air pollution. 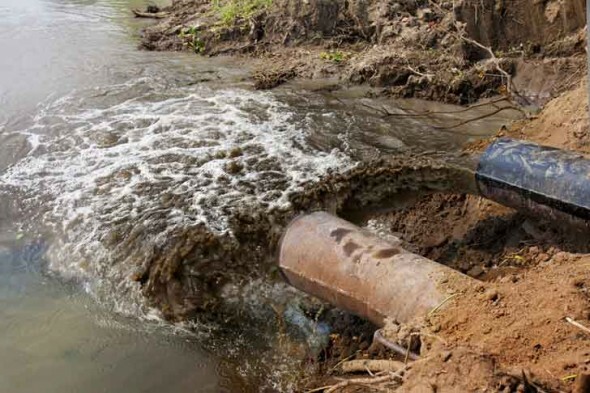 The budget will be used for a five-year action plan that will cut the concentration of PM2.5 particles (airborne particles measuring less than 2.5 microns in diameter) to a level of around 60 micrograms per cubic meter. Besides plastic bags, syringes and old tires, some of the most common throw-aways found in garbage dumps are old shoes. Given the fact that these do contain quite a lot of rubber, shoes aren’t completely recyclable, leading to environmental harm. So, sportswear giant Adidas teamed up with British artist Chris Anderson to create a recyclable pair of shoes that you probably wouldn’t want to step inside a puddle with. 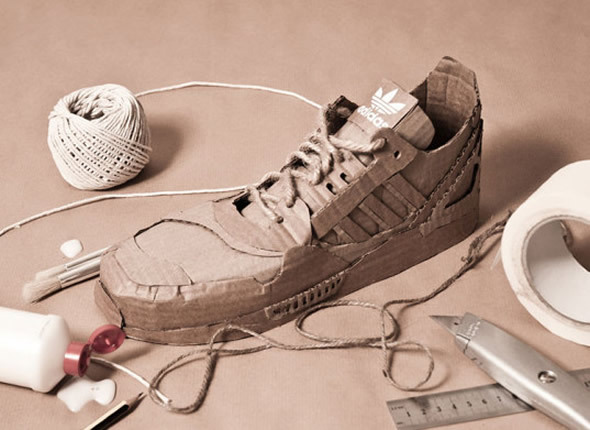 Made from cardboard, these shoes are based on the upcoming Spring/Summer 2014 collection. WheelTug e-taxi system helps aircrafts taxi with their fuel-powered engines switched off! It’s a common fact that aircrafts are energy suckers and fuel guzzlers. However, what many haven’t come to realize yet is the fact that aircrafts don’t just burn gallons of fuel while flying, but also while on the runway, taxiing. Recently, the Borealis Exploration Limited came up with a fantastic concept that could help airliners reduce their fuel spends quite substantially while also reducing their carbon footprint. 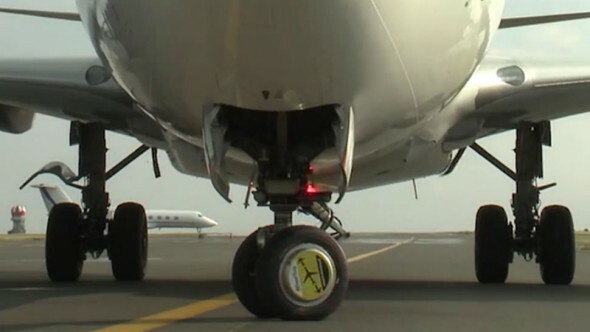 Called the WheelTug e-taxi system, this nosewheel-mounted, induction motorised ground propulsion system is capable of tugging around a 90,000kg A320 on ground!